DARIEN — Every fall and winter for the past 11 years, Colleen Brereton of Darien has been a part of the New England Dance Theater’s production of “The Nutcracker.” With auditions and rehearsals starting in September and lasting through the fall until the early December show, Brereton has spent dozens of months on the classic ballet, not to mention countless hours in two-hour rehearsals Monday through Thursday, plus at least 10 hours of practice on the weekends. But the Darien High School senior said the show never gets old. 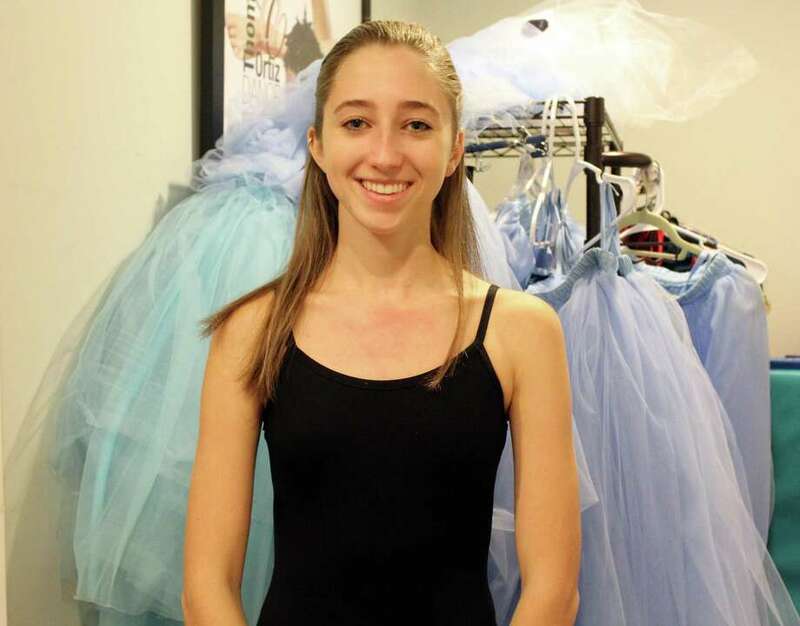 Now preparing for her final show, Brereton, 17, will be starring in this year’s “Nutcracker” production as Clara, the show’s young lead who receives a nutcracker for Christmas that leads her into a magical dream come to life. It will be the 32nd production of the show from the New England Dance Theater, part of the New England Academy of Dance, making it one of the longest running productions in the area. Brereton got her start dancing at the Darien Arts Center when she was three-years-old and joined New England Dance Theater in New Canaan when she was seven. Since then, she’s stayed committed to the group, joining its “Company” or highest level performing group in eighth grade. She said she’s also formed a close bond with the four other girls from Darien and New Canaan who have stuck with dancing there since they were young. In fact, she says their tight-knit friendship has been her favorite part of dancing. Throughout her years performing “The Nutcracker,” Brereton has played a variety of ensemble roles, including a mouse, a bonbon, a flower and the lead angel. Each role has been slightly different and allowed her to play a different character each year. This year’s role as Clara has allowed Brereton to practice dancing with a partner which has slightly different demands than dancing solo. She practices in a class with adult professionals from New York City who come in to play some of the roles in the show. “It’s challenged me a lot to work on technique,” she said. While she’s enjoyed her dream role of Clara, Brereton looks back on her other roles fondly, particularly her role as a maid in the party scene which takes up half of the first act of the show. A 30-minute number, the scene involves adults, children, props and a lot of coordination. In addition to performing, Brereton also helps teach dancers the choreography for the scene. As Brereton prepares for what she says is a “bittersweet” final run of the classic Christmas show, she’s beginning to look ahead to her future not only in the New England Academy of Dance’s spring show but beyond. She said she hopes to minor in dance in college and has been looking at schools that offer her the opportunity to do that. “I can’t imagine not continuing,” she said. New England Dance Theater’s production of The Nutcracker Ballet will be presented in three full-length performances in the New Canaan High School Auditorium on Friday, Dec. 8 at 7 p.m., Saturday, Dec. 9 at 4 p.m. and Sunday, Dec. 10 at 4 p.m. There will be an interactive children's performance of Act II on Saturday, December 9 at 11 a.m. Seating for NEDT’s annual Nutcracker is reserved and tickets are now available online. For ticket sales, please visit our website at www.neadance.com. Tickets can also be purchased at the door at New Canaan High School. Prices for the full performance are $40 for Adults and $30 for Seniors and Children; prices for the Children's performance are $25 for all guests.